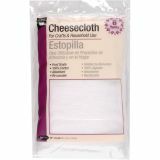 Cheesecloth - DRITZ-Cheesecloth Packaged. Ideal for craft projects, waxing and polishing, furniture refinishing and kitchen use. Absorbent and re- useable. 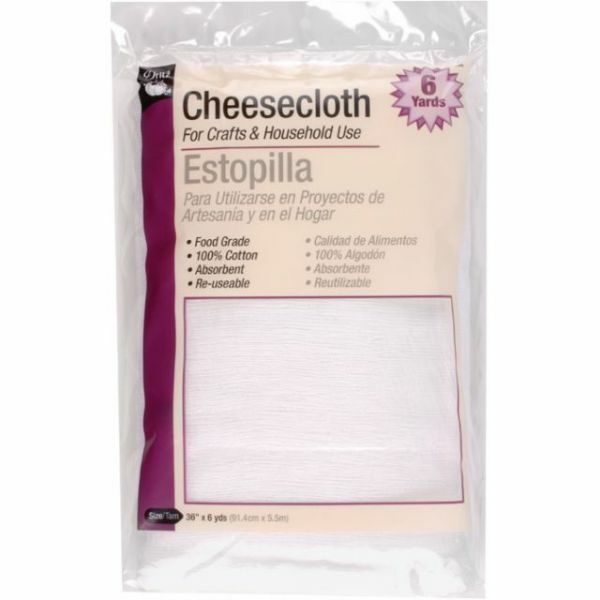 This package contains six yards of thirty-six inch wide cheesecloth. 100% bleached cotton. Made in USA.